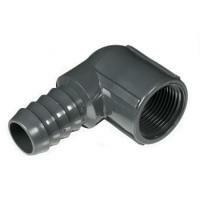 Grey schedule 40 standard radius PVC elbow. 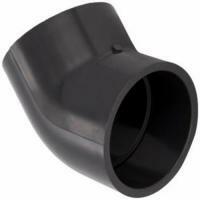 Grey schedule 40 1 1/2" MPT X Barb PVC elbow. 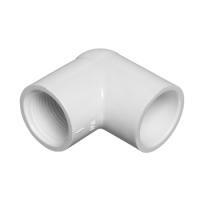 White schedule 40 standard radius PVC elbow. 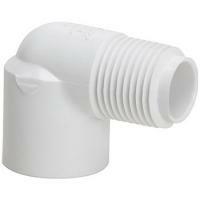 White schedule 40 1 1/2" Slip X Insert PVC elbow. Make those tight corners with having to worry about putting a kink in your hose. For use with 1 in. standard flexible tubing. Grey schedule 40 1" FPT X Barb PVC elbow. 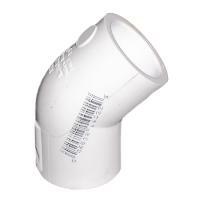 Grey schedule 40 1" MPT X Barb PVC elbow. 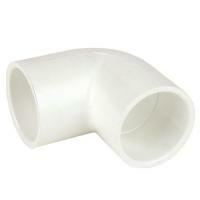 White schedule 40 1" Slip X Insert PVC elbow. 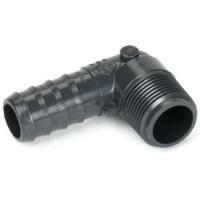 Grey schedule 40 1 1/2" FPT X Barb PVC elbow. 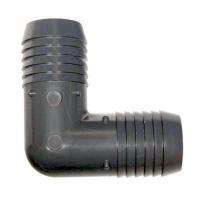 Grey schedule 40 1/2" MPT X Barb PVC elbow. 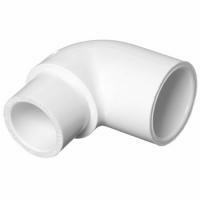 White schedule 40 1/2" Slip X Insert PVC elbow.